Libby's Little Addiction: From Courtney's Closet #47 - Roundup! From Courtney's Closet #47 - Roundup! Last week's From Courtney's Closet challenge had my sweet Courtney strutting her stuff in our neighborhood 4th of July kiddie parade. 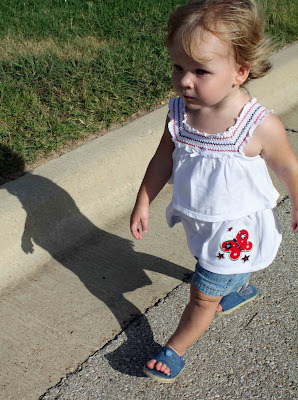 Her little red, white & blue outfit inspired several fun cards this week - and it didn't hurt that several other blogs were doing red, white & blue challenges too! LOL! But hey, I'll take it! :-) First up is Vicki, who really piled it on with this gorgeous card! 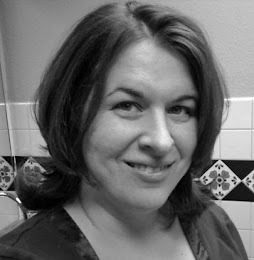 (If you love combining challenges as much as I do, check out Pile It On, her new-ish challenge blog!) 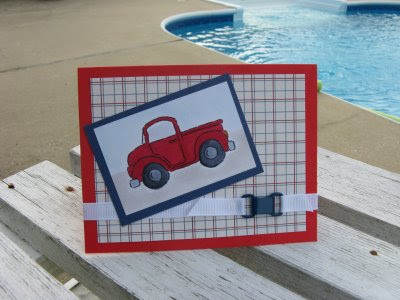 Jenn did a wonderful job creating a masculine card with these colors! 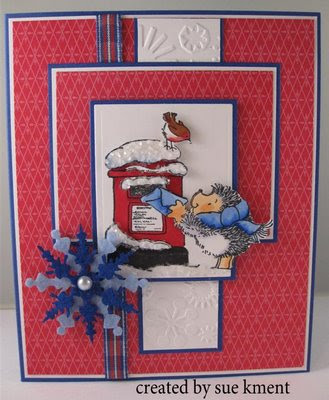 I love how Sue created a wintery card with these colors! So adorable!! 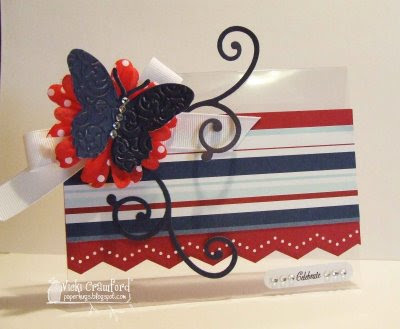 I love Karen's card - that butterfly is fabulous, who'd have guessed it only cost a buck? 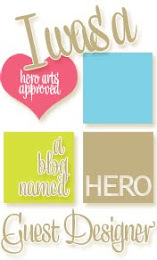 :-) And she gave me a good idea - I'm going to send my card from this challenge in to Cards for Heroes too! (Not that cards to CFH have to be in patriotic colors, but still, it just seems fitting!) 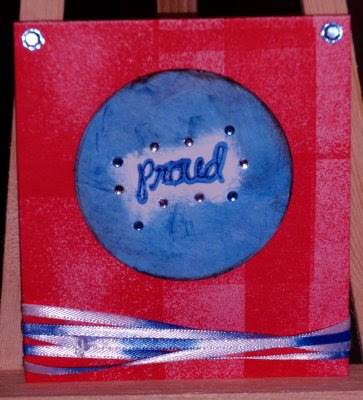 Speaking of patriotic stuff, new-to-me blogger Ella made a gorgeous patriotic creation! (Glad I found you, Ella!) (By the way check out her blog banner, it's GORGEOUS!) 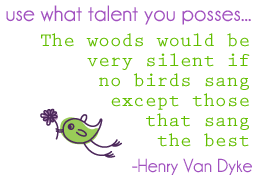 And finally, my favorite this week... another one that really piled it on! :-) Even though she wasn't only focused on ME ME ME (or only on MY challenge, anyway!) I can still love her card! LOL! What made me love it is the sentiment she used, it just made me smile from ear to ear! Caryl, if you'd like my "featured" button, let me know! Thanks ladies for playing along this week, you made my day!! Look at her struttin' her stuff! I love it! Love your patriotic creations! But the one that stole my heart is the look of absolutel determination on that little angel named Courtney.